Most lice treatment products found in retail stores contain harsh chemicals and pesticides. But do you really want chemicals and pesticides on your child’s head? At The Lice Place, we offer Katy Lice Treatment Products that are non-toxic and made with essential oils and no chemicals! 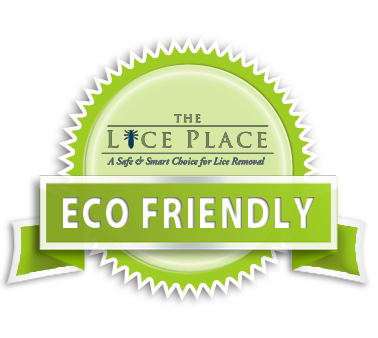 Years of clinical studies and research by The Lice Place,resulted in our unique products that are safe and effective to use for lice treatment for the whole family. • TLC Terminator Comb is specially designed to easily remove lice and nits. When you choose The Lice Place for your lice treatment needs, a Terminator Comb is yours to keep. • TLC Mousse is expressly formulated with ingredients that loosen the hold of lice and nits from the head and scalp, making removal that much easier. It is offered in both 4 and 8 ounce sizes. • TLC Shampoo and Conditioner are safe and gentle enough to use daily. Made with Neem oil and peppermint, they have a pleasant smell and aid in prevention of future infestations. • TLC Mint Spray comes in 4 and 8 ounce sizes, as well. When misted on hair daily, this is another aid in lice prevention. • TLC Lice Removal Kit #1 contains 1 Comb, 1 Mousse and an 8 ounce Mint Spray. • TLC Lice Removal Kit #2 is comprised of 1 Comb, 1 Mousse, 1 – 8 ounce Mint Spray and 1 – 4 ounce Mint Spray. Contact or stop by one of The Lice Place salons to check out our lice treatment products. Our knowledgeable staff is always happy to assist you either in person or by phone at (281)578-5423 with all your lice treatment needs.